The colors, texture and Softness of Ascend rugs are due to the use of Z Que New Zealand Merino wool. 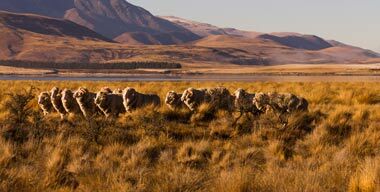 ZQue Merino is only sourced from accredited farmers who meet the highest on farm standards. The ZQue Merino programme has been developed to provide customers with the certainty that product quality, animal welfare and health, environmental, economic and social values are positively addressed. Compliance with the ZQue Merino standards is assessed and audited by qualified third party auditors who visually inspect sheep, farms and facilities to ensure these are met. ZQue Merino wool has excellent attributes that make it an ideal fiber for custom rugs. Ascend custom merino wool rugs are unique in using only the very finest ZQue Merino wool from accredited farmers in New Zealand. Specify one of our custom rugs and see and feel the difference.